Set your home or business apart from others with services from Radick's Landscaping. Our landscaping company specializes in landscape maintenance and installation that gives your property a well-kept look. We do all the work so that you can receive all of the compliments. 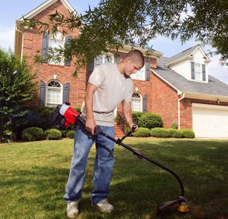 Preserve your landscaping with landscape maintenance from our company in Chagrin Falls, Ohio. Make your landscaping beautiful and functional with the use of water features.